A comprehensive natural protection ordinance establishes a complete set of standards to protect, conserve and enhance the natural resources in a municipality. A planning process that integrates resource protection ensures that resource planning, comprehensive plans and land development activities protect both natural resources and their functions. Resources which should be considered for protection include land resources (steep slopes, prime agricultural soils), water resources (watersheds, floodplains, wetlands, hydric soils), biotic resources (threatened and endangered species habitats, locally important vegetation), and scenic resources (views and panoramas). The natural resources considered for protection are typically identified in a municipal comprehensive plan, which should include a detailed analysis of the existing resources, along with a strategy for their protection. Specific resource protection tools are contained in the municipal code of ordinances, either within the zoning ordinance and/or subdivision and land development ordinance, or within a stand-alone chapter of the municipal code developed specifically for resource protection. Preserve larger, interconnected expanses of natural resource areas. Provide municipal officials, local developers and landowners a clearer understanding of the natural resources that need to be protected during the development review process. Permit a municipality to more easily adapt its ordinances in order to address emerging environmental issues. Comprehensive resource protection standards inherently conserve energy because they improve environmental conditions without the need for mechanical infrastructure that requires energy to operate. Vegetated floodplains reduce flooding and flood damage which requires reconstruction, and thus energy to reverse. Similarly, vegetated wetlands improve water quality and reduce runoff lowering energy consumption used in water treatment plants. Riparian buffers and vegetated steep slopes reduce runoff and erosion thus improving water quality. Healthy forests and wooded areas also serve this function, and also create wind breaks, thus reducing wind chill on houses and lowered heating costs in winter. In summer, tall trees near buildings reduce the need for air condition through shading the structures and also release water from their leaves which cools the structure's surfaces. May require additional time, resources and technical expertise to map the resources, as needed, and then develop the appropriate ordinance standards. Requires a long-term commitment to educate municipal officials in successfully administering these standards, along with ongoing efforts in educating the public about these issues. Establish Policy: The municipality should initially address its environmental protection policy within its Comprehensive Plan. The Comprehensive Plan should contain both a comprehensive inventory of resources in the municipality, with detailed mapping depicting the location of its resources. The Plan should provide a specific set of policy recommendations towards the protection of these resources, particularly how the preservation of resources relates to its land use plan. Adoption of Ordinance Standards: The adoption process can occur as either a comprehensive update of its municipal codes or ordinances, such as the adoption of a zoning ordinance update, or as amendments to the applicable sections of its code as required. The municipality should consider locating most, if not all, of its resource protection standards within one article of its code or ordinance, rather than several distinct sections. This approach, if properly designed, can make it more efficient for local officials to enforce these provisions, along with providing a clearer understanding of these provisions for both landowners and developers alike. Kennett Township: The Township's 2004 Comprehensive Plan identified revisions to its natural resource protection standards, in accord with the recommendations in Chapter 13-Natural Resources Protection Plan, as a high priority item for the Township to implement. The amended natural resource protection standards adopted by the Township in 2006 (Article XVIII of its Zoning Ordinance) address floodplains, steep slopes, wetlands, wetland margins, watercourse and riparian buffer, woodland and specimen vegetation standards. Pocopson Township: The Township's 2001 Comprehensive Plan recommended that the Township update its Zoning Ordinances to include a comprehensive resource protection strategy, including provisions for "net-out" of environmentally constrained lands and disturbance standards for such resources, and improved standards for surface and ground water management. 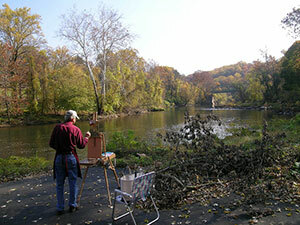 In 2007, the Township adopted updated Conservation of Natural Resource standards in its zoning ordinance, addressing floodplain, steep slope, wetland, watercourse and riparian buffer protection, seasonally high water table soils, heritage trees, rare species site, exceptional natural areas, and woodlands and hedgerow standards. The protection of natural resources is a required component of a municipal or multi-municipal comprehensive plan that is authorized in the Pennsylvania Municipalities Planning Code (MPC). Section 301. (a)(6) states that the comprehensive plan shall contain a plan for the protection of natural resources including, but, not limited to, wetlands and aquifer recharge zones, woodlands, steep slopes, prime agricultural land, floodplains, and unique natural areas. Additionally, Section 603. 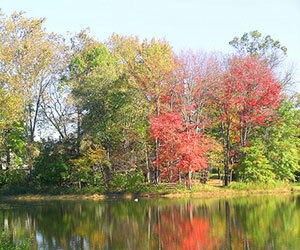 (g)(2) states that zoning ordinances shall provide for the protection of natural features and resources.